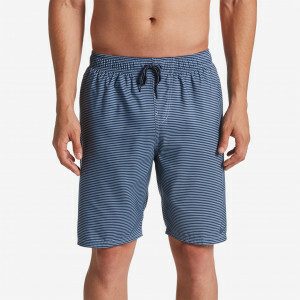 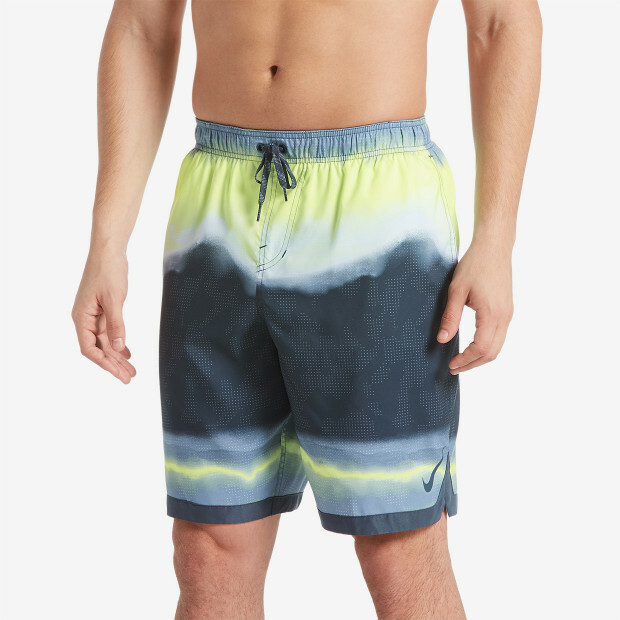 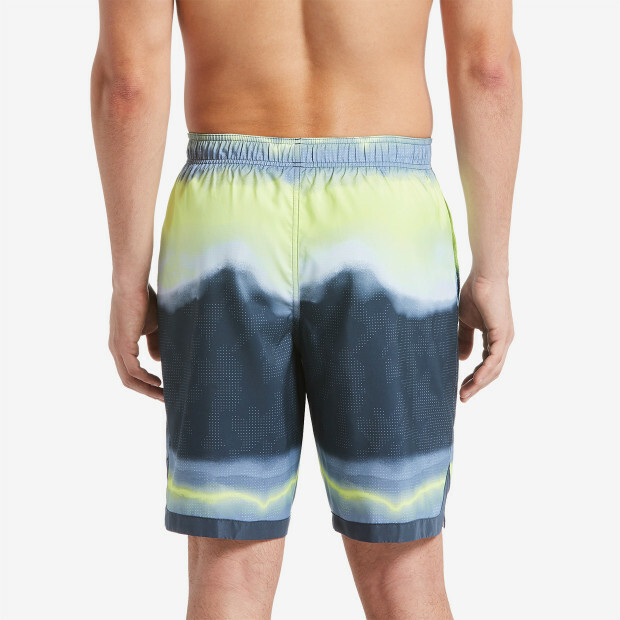 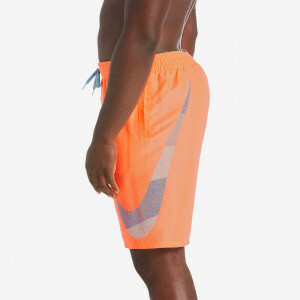 Nike Swim Men's Optic Halo Horizon 9" Trunk has an eye-catching multi-hue pattern and a variety of performance features. 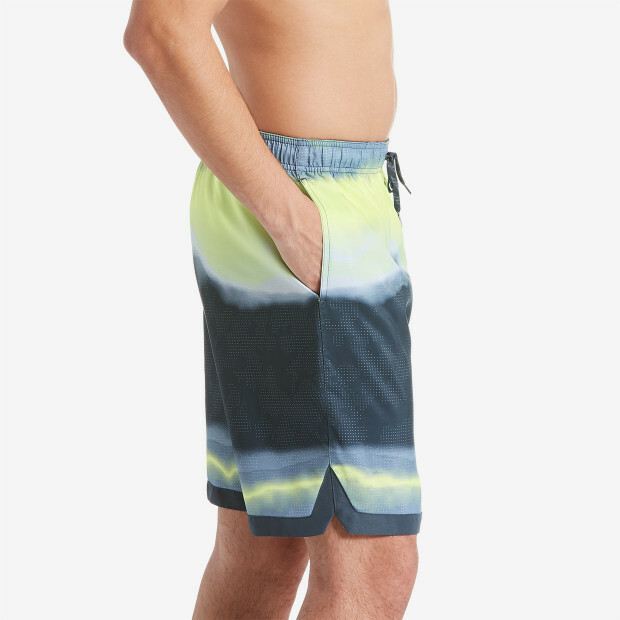 Notched leg vents allow for freedom of movement with these longer swim trunks and an elastic waistband provides a custom fit. 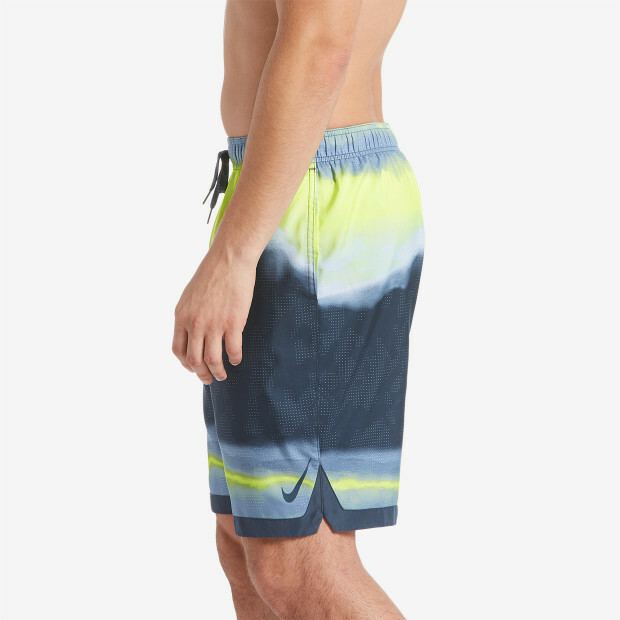 The Nike Repel water-repellent finish fabric combines with the mesh support brief and pockets to shed water quickly.